Before I begin this review, I feel that I should preface it with a disclaimer of sorts. I need to be upfront with the fact that I really didn't enjoy the final third of the episode. Which is not to say that it wasn't good, because it really was. Benedict Cumberbatch, Martin Freeman and Andrew Scott are all exceptional actors and they gave first-class performances overall. My difficulty with the last half an hour of "The Reichenbach Fall" was a personal one. Television is my guilty pleasure, the place I disappear to when I need to get away from the world, and I just don't like it when really crappy things happen to my favourite characters in my favourite shows. It makes me think that the writers hate them and that makes me pretty unhappy because I spend a lot of time loving the characters they create. I wonder why they decided to recreate a story like "The Final Problem", the Arthur Conan Doyle short story upon which this episode is based, in the first place. When it was published in 1893, many people were unhappy with the way it ended. In fact, the public backlash against the story was so severe that Doyle was forced to take a u-turn somewhat and repair the damage in future stories. Granted, the ending was managed slightly differently in this episode and being familiar with the original story, I knew exactly where the episode was going, but that didn’t make me like it. So after that not-as-brief-as-I-had-intended preface, let us move on to “The Reichenbach Fall”. My review will vaguely correspond to the three phases of Jim Moriarty. 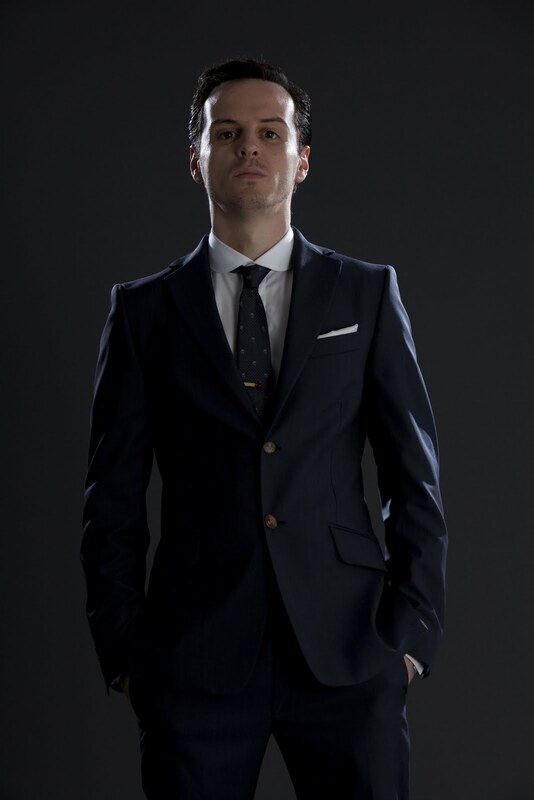 James Moriarty possesses the greatest criminal mind that the world has ever seen. Sherlock and John knew he wouldn't stay hidden for long. But even they never guessed the sheer scale and audacity of the crime that would propel Moriarty back into the headlines. The crime of the century. Sherlock and John lock horns with their old enemy in one final problem that tests loyalty and courage to their very limits. 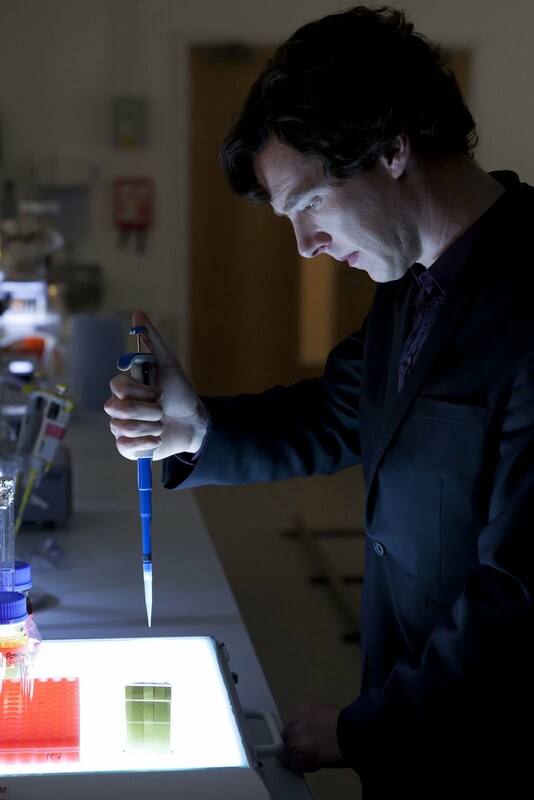 Sherlock must fight for his reputation, his sanity and his life. But is he all he claims to be? James Moriarty (Andrew Scott) has been deliciously evil. In a series of coordinated attacks, he crashes through the security systems of Pentonville Prison, the Bank of England and the Tower of London, landing up on a throne wearing the Crown Jewels. Meanwhile, Sherlock Holmes (Benedict Cumberbatch) has been named the Reichenbach Hero, following a particularly successful case, and he has been gifted with the most useful gifts of all: diamond cufflinks (his shirts are buttoned), a tie pin (he doesn't wear them) and a deer hunter cap (so that he can look more like himself). Perhaps unsurprisingly, Moriarty is arrested following his daring stunt and the trial is to take place at the Old Bailey with Holmes as a key witness. At the courts, Holmes runs into journalist Kitty Riley (Katherine Parkinson, Doc Martin). Sherlock takes an instant dislike to Kitty, refusing to work with her in any journalistic sense and telling her, “you repel me”. I have to be honest, I don’t think that was a good idea. The court case against Moriarty seems to go exceptionally well which is no surprise seeing that Moriarty is employing no defence at all. Sherlock realises that this was all part of Moriarty's plan, that he wanted to be caught and, indeed, might even want to land up in prison. Sherlock: "James Moriarty isn't a man at all. He is a spider"
Of course, Sherlock can't help showing off, much to Watson's dismay. It seems the bad omens were ringing early in this episode. Watson: "Do you think you can survive for just two minutes without showing off?" Of course, it is always a mistake to underestimate the consultant criminal James Moriarty, the most dangerous criminal of all time and they do underestimate him. 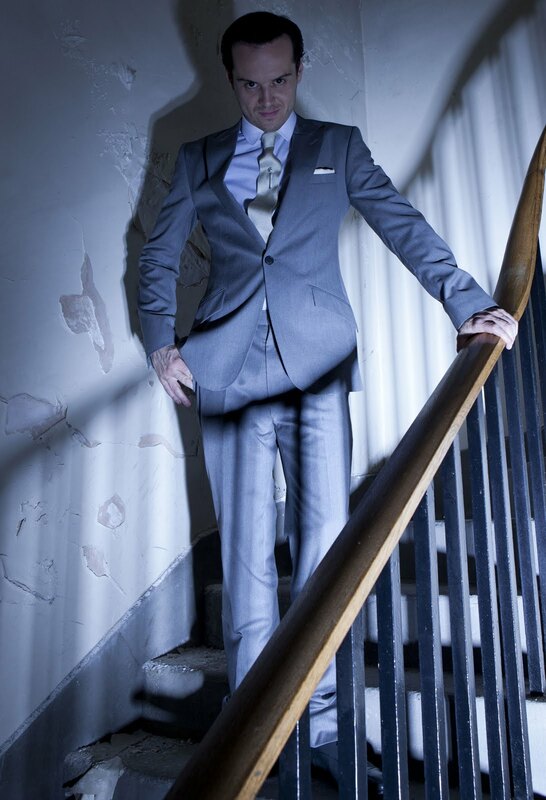 It seems Moriarty is more of a spider than Sherlock could have ever imagined and wonder of wonders, he is acquitted! 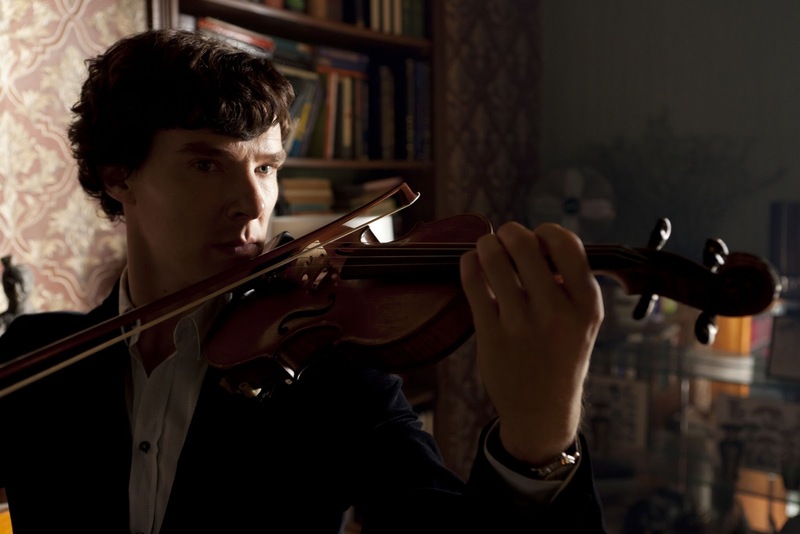 In a chilling exchange on the day of the acquittal, Moriarty visits Sherlock in his flat at 221B Baker Street. Moriarty: "I want to solve the problem, our problem. The Final Problem. It’s gonna start really soon Sherlock: The Fall. But don’t be scared. Falling’s like flying except there is a more permanent destination"
Sherlock (standing up): "I never liked riddles"
Moriarty: "Learn to. Because I owe you a fall, Sherlock. I owe you. So far, so good then. Moriarty is at his terrifying best and I figured that the game was most certainly on. The next part of the episode sees Sherlock investigating a particularly violent and gruesome kidnapping case, the kind of crime that only someone like Moriarty could dream up. 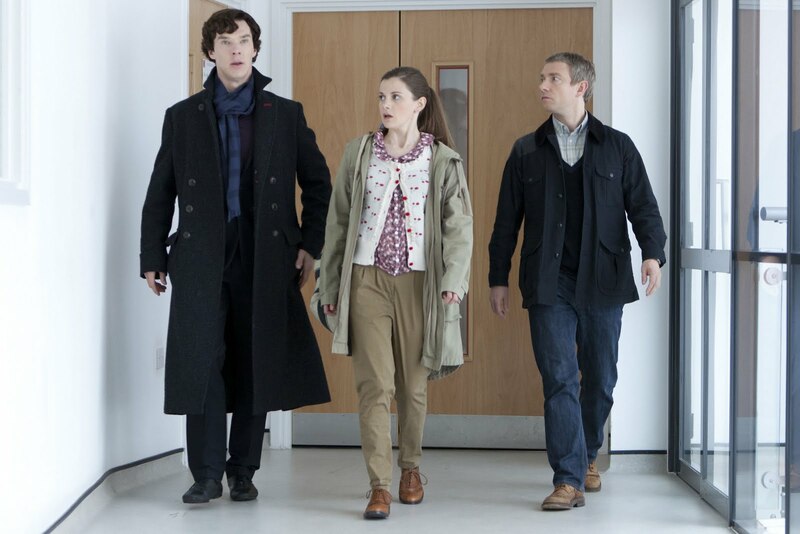 There is a hilarious sequence in the Diogenes Club (a posh London men’s club that requires a Franciscan level of silence) where Watson goes to visit Mycroft Holmes (Mark Gatiss) and there is also some levity when Sherlock and Watson visit Molly Hooper (Loo Brealey) at St Barts for assistance on the kidnapping case. You might remember that Molly famously dated Moriarty in the first season. 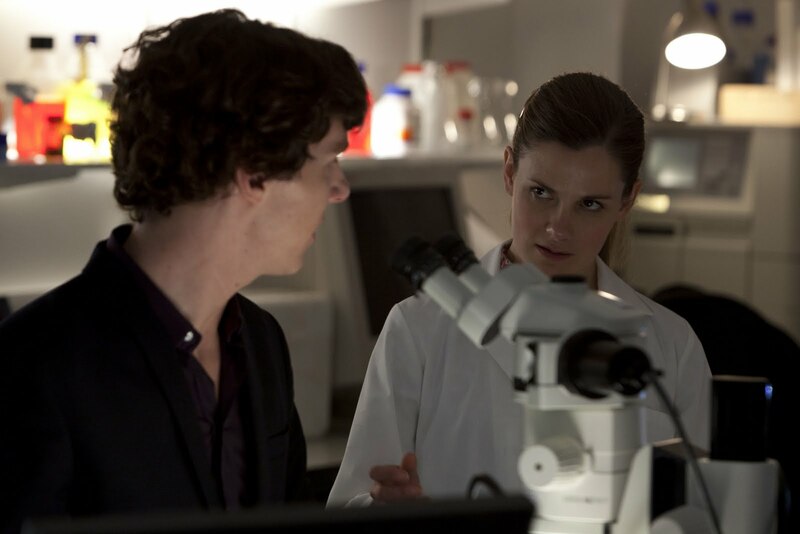 Sherlock: "For the sake of law and order, I suggest you avoid all attempts at a future relationship, Molly"
But the darkness is coming and so is the fall. It seems that Sherlock solves the crime a little too easily and Lestrade's colleagues are beginning to become ever more suspicious of the "great" Sherlock Holmes. As is his wont, Sherlock hits out at Watson and launches in to a taxi cab alone, only to be ambushed by Moriarty. It was the turning point in the episode for me, the point at which I started to feel uncomfortable and was no longer enjoying myself. Moriarty certainly isn't delicious any more, he is horrible! There is a lot that happens in the final third of the episode. Sherlock is arrested on charges of abduction and kidnapping, Watson punches the Chief Superintendent of the police (my hero!) and Sherlock and Watson escape, holding hands! They land up somehow at Kitty Riley's house and it was there that I realised that James Moriarty is off-the-charts, freaking psychotic. All of this leads to the great showdown between Holmes and Moriarty and a terrible, terrible ending. Like I said in the first paragraph, I didn't like the last thirty minutes of this episode. I never like those sequences when the general public turns against a protogonist, especially one so honourable and heroic. The fact that it made me so uncomfortable means that I must give credit to writer Steve Thompson (Doctor Who, "The Curse of the Black Spot"). Moriarty was brilliantly written and portrayed by Andrew Scott and the dialogue in the episode was both hilarious and chilling at times. And it wasn't like I didn't know what was going to happen the minute I learned of the title of the episode and realised which story it was based on. I really was not surprised when Steven Moffat and Mark Gatiss came out yesterday and confirmed that there would be a third season, reminding us that seasons 2 and 3 had been commissioned together. Warning: Spoiler ahead. 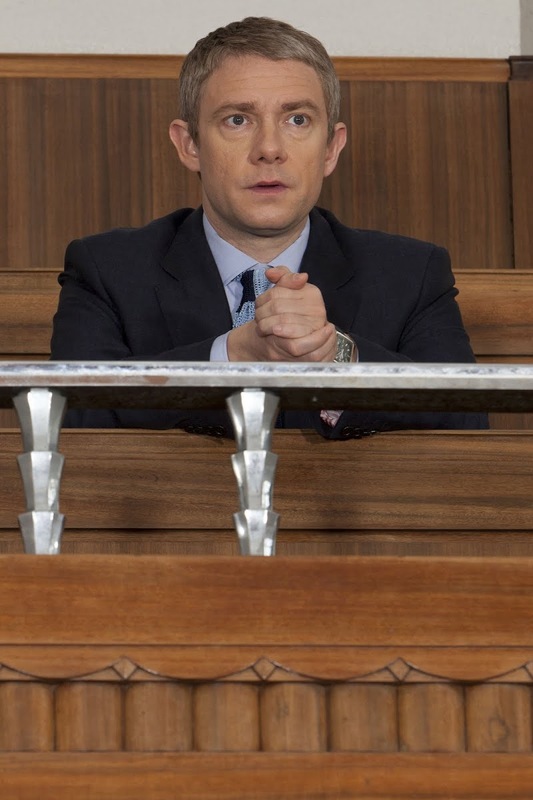 Do not read if you have not watched the end of "The Reichenbach Fall"
However, I must pull the reality card and wonder how much the writers of the show must hate Dr John Watson to make a man, already confirmed to be suffering from Post Traumatic Stress Disorder, witness the horrific death of his best friend? No matter how faked Sherlock's death was (all organised with the help of the trusted Molly Hooper), and no matter how alive he turned out to be (yay! ), Watson would have experienced incredible trauma following the event. Not nice writers, not nice at all. Thank you very much for your review. I also did not particularly like the idea of Sherlock being dismantled by Moriarty and what is even worse finally dismantling himself to save those that are closest to him. Very powerful performances! @ Karen: I'm glad you enjoyed it and yes, definitely excited for season 3. @ Anonymous: exactly. I am 100% with you on that point. I didn't like it at all. Thank you for reading and commenting! Emm, looks like you have the new threaded commenting feature here. So you can reply to Karen and Anonymous by hitting Reply under each of their comments. PS Wonder if it's working for everyone now! I'll have to check back with the forums and see if Blogger was able to fix all the problems. Hi Jean, thank you for your comment. I'm not sure where this comment falls within our conversation. 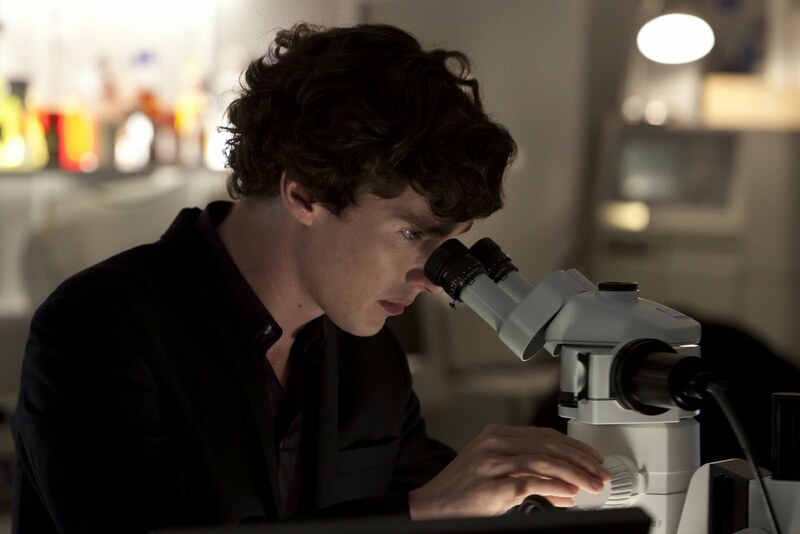 I do know about the threaded comments, I used it here: http://www.addictedtomedia.net/2012/01/tv-review-sherlock-hounds-of.html. My problem is that when I reply to you now, I want only you to receive a notification email, not everyone else who has commented here too. I know we wanted the threaded comments at blog level and to clean up our comments section, but this now creates more email clutter for our poor readers. So, to reduce that clutter, I'll carry on just putting down one reply. Have you watched the second series yet? What did you think? But many reviews seem to indicate that the second season has improved upon the first! Oh dear! I am super fortunate. My husband bought me seasons 1 & 2 n Blu-ray for Valentine's Day. I have seen the second series. I agree with you about the manipulative/overwrought nature of the last episode. Check out my review . Here are my reviews for 'A Scandal in Belgravia' and 'The Hounds of Baskerville' . No, I haven't! I saw you mentioned that on your blog but I hadn't heard of it before. Hi Vidya, I agree. He called his bluff but I guess we'll have to wait until the next episode to see how he planned it and predicted and broke down Moriarty's actions in advance. I didn't feel it was especially clever, I just feel the audience was manipulated.